A unique formulation that extends drying time up to 40% for blending with acrylics. 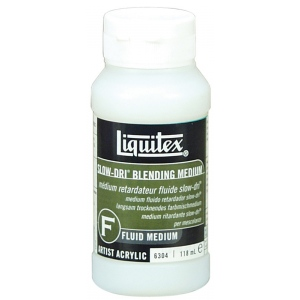 * Adds flow to acrylic color with soft body. 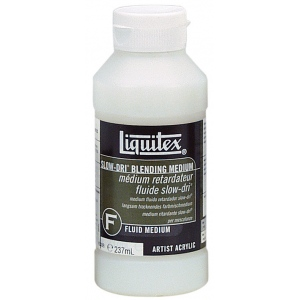 * Mix any amount into color to enhance the depth of color intensity increase transparency gloss ease flow of paint and add flexibility and adhesion to paint film. * Dries clear to reveal full rich color. * Unlike retarding additives any quantity may be added to color without jeopardizing the strength of the paint film.